After growing up in Germany, Edmonton and finally Victoria BC, Andrew Niemann attended art school at Uvic for a BFA. 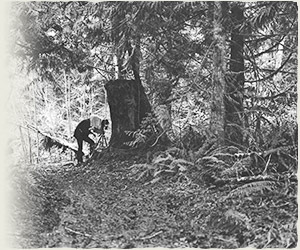 He then completed a Photographic Technician Diploma at Langara College and spent some time freelancing, shooting horse shows and doing commercial work before landing at the BC Provincial Museum, as it was then called, to do photography for the Ethnology department. By 1980 Andrew had developed an interest in composing electronic music which brought him to computers and programming and these in turn led to the building of computer animations and interactives for museum exhibits and video productions. This work involved the use of Photoshop, and Photoshop slowly drew Andrew back to his love of painting from his art school days - albeit now on the computer and using photos instead of an empty canvas.